Volunteering was instilled in me at an early age. Whether it was working in the soup kitchen, writing Christmas cards for wounded soldiers or assisting at Red Cross Disaster Relief centers, I have always seized the opportunity to serve. It is one of the many reasons I fell in love with the Grange: the strong value placed on community service. Volunteering allows us as Grange members to serve our community. We can make connections and gain new skills. There is a chance to always promote worthwhile activities and meet new people. 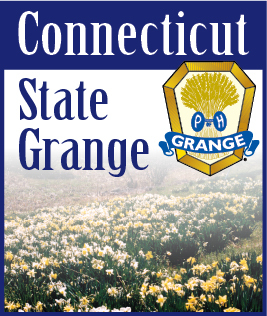 On Friday, Nov. 15th I found myself joining many fellow Grangers to serve, yet again at the 147th National Grange Convention. The New Hampshire State Grange hosted a blood drive through the American Red Cross. Grange members flowed in from 10 a.m. until 3 p.m. to give blood. The thing that struck me the most was not that everyone gave blood, but rather that those working were interested in the Grange. It reminded me that we should be willing to serve and always eager to share about the Grange. While I was in the midst of giving blood, I struck up a conversation with my nurse, Sharon. She mentioned that she was from a community that had a Grange, but that she never knew what the organization was. I chose to share with her my personal story of why I joined the Grange, the opportunity the Grange has given me to be here as a Pfizer Communication Fellow and the influence that Grange has a local communities. Hearing my personal story, Sharon was more interested in learning about the Grange. I encouraged her to visit the National Grange website and also Grange Radio to learn more. By taking 10 minutes to share about my experience in the Grange, I made one more person aware of our amazing organization.